ME 1525 approaches Roskilde with the 10:58 train from Østerport to Nykøbing Falster. 23rd March 2015. ME 1529 awaits for it's next duty at Copenhagen. 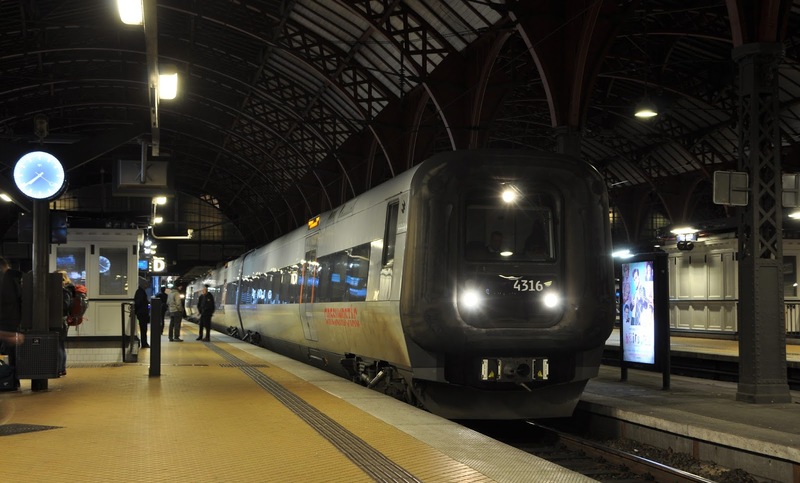 DSB operates all mainline rail services from Copenhagen. 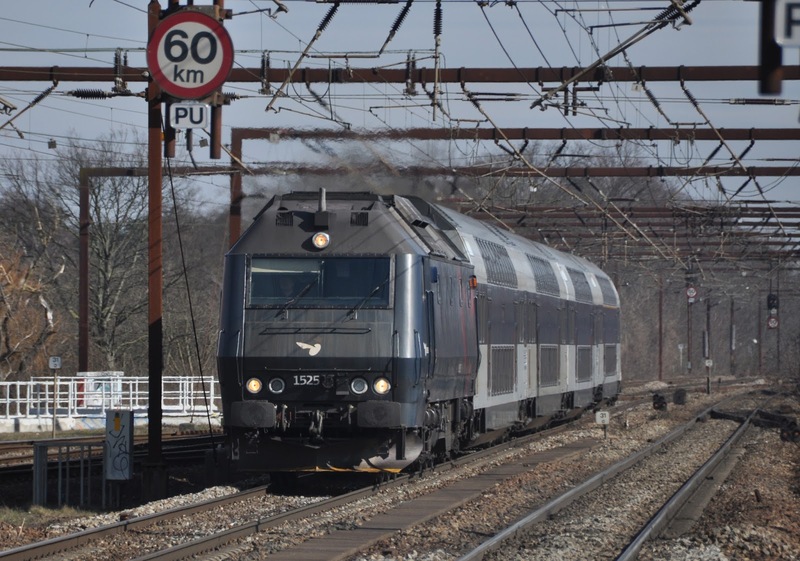 While most train are multiple units, both diesel and electric, there is some respite from the rubber-fronted trains in the form of 36 [37 built- one destroyed by fire] Henschel-built diesel locomotives dating from 1981. These operate in push-pull formation with double-decker coaches out to many cities on Zealand- Denmark's most populated island. In addition to the diesels there are also a small number of similarly styled electric locos- the EA class. These locos recently have only been employed working the City Night Line sleeper train to Copenhagen- but with the sad withdrawal of this service are now also being pressed into action on the double-deck stock working to some locations which are fully electrified. The ME's regular departures from Copenhagen, often several per hour, make the route one of the best remaining places in the world to sample a busy diesel hauled operation on a main line. Days may be numbered for the loco's however as there is a plan to replace them with cascaded IC3 train sets once the IC4's have replaced those on their current InterCity duties. Of course this does all depend on the IC4's actually working- that however, is a story for another day. operate over the impressive Øresund bridge to neighbouring Sweden.